I liked it but had some issues with it. The costume itself is cute and fit well. I went with a size small because I'm currently between sizes and I thought the x small would be too tight. The material is a bit thin, but I had read other reviews on this item so I knew what to expect. Also read in other reviews was the wig was small. Fortunately my hair color matches so I can make this work. Here is why it is only receiving 3 stars. After taking the dress out of the bag and hanging it up, I noticed rust colored stains on the dress where it had been folded. these stains are not easy to remove as the dress is hand wash only. 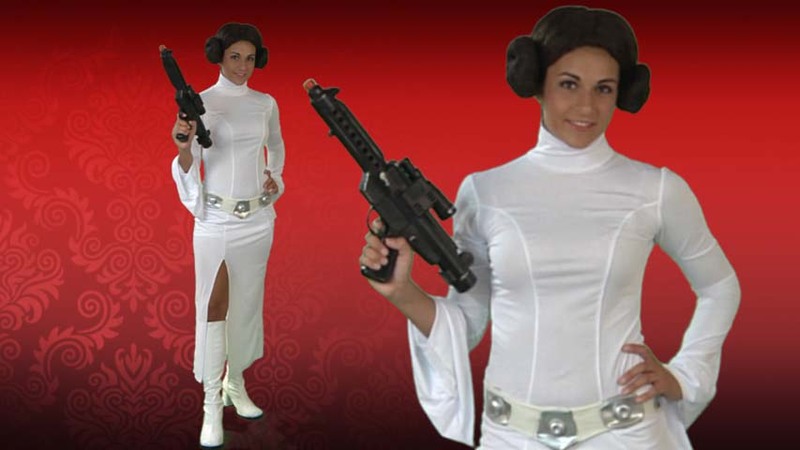 I would have returned this costume and got a new one but it would not have arrived in time for my party this weekend. It will have to due for now, but I am a bit disappointed considering the price I paid for this costume. Material is very thin shows everything....wig too small but, didn't plan on using it anyways just put my own hair in buns.